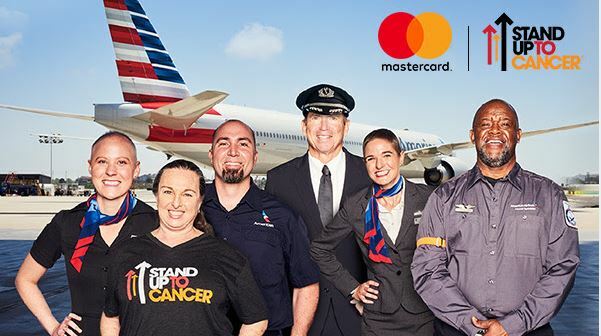 From now through December 12, make a donation of $25 or more to Stand Up To Cancer and receive 25 AAdvantage miles per dollar donated. If you use a Mastercard for your donation (like the Citibank AA card or the Barclaycard AA card) Mastercard will match up to $1,000,000 in donations. If you received an email from American Airlines with this offer, just click on the link in your email to be taken to the donation page or you can just click here.